Artists have turned food into faces for centuries. As Laughing Squid points out, Giuseppe Arcimboldo was doing it back, in the 16th century preferring paint as his medium over the not-even-close-to-being-invented-yet photography. But, when it’s done well, playing with your food can still result in some remarkable and novel artistic expression. 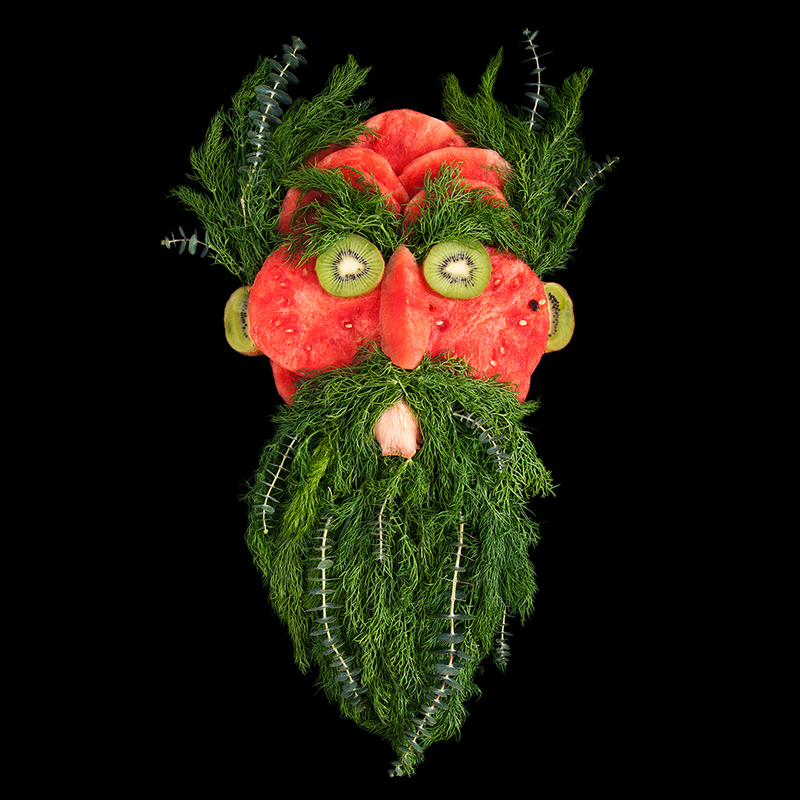 And “Fresh Faces” – the produce-based photography project by photographer Emily Dryden and sculptor Zahyde Pietri – is done extremely well. The duo took second place in the “Professional: Advertising, Food” section of the 2015 International Photography Awards. Dryden told FWx via email that she and Pietri “sought to create unique personas for each piece, combining sculpture and photography to highlight and preserve their charm while still in their prime. Staring into their vegetative visages, I do feel like I get a sense of character, a real expression of personality, as if they are all saying, “Seriously, don’t eat me, dude.” Fine, I’ll put the ranch dressing away. Eating art is usually frowned upon anyway. Find more of Dryden’s work here.